Deliver accurate, out-of-pocket estimates prior to service. Patients need to know their balance after insurance; AccuReg payment estimation makes it possible. High deductibles put patients on the hook for larger portions of their medical bills. In many cases, a patient’s ability to pay hinges on their upfront understanding of what they will owe. Hospitals that don’t provide estimates miss opportunities to collect and increase their risk of bad debt. AccuReg Payment Estimation helps hospitals communicate out-of-pocket obligations and secure more revenue. Why estimate and collect at POS? With the rise of high-deductible health insurance plans, 30% of hospital revenue now comes from patients. 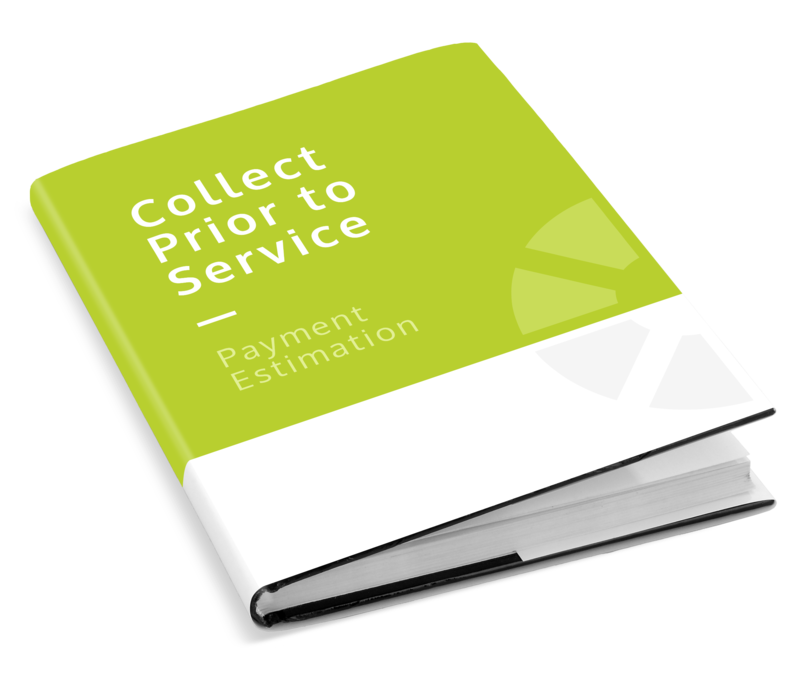 Accurate estimates make it easier to collect up front than after service where the likelihood of collecting is the greatest and the cost is the lowest. "AccuReg Team, I wanted to thank you for your contribution to our success for receiving Adopter Recognition through HFMA. You have provided us a great tools to get the job done… Thanks again for all of your help and support to make MCCH best of the best!" With the AccuReg Estimation Accuracy Guarantee™, you gain added assurance that payment estimates will be accurate 90 days after go-live. Our estimate of patient payment is accurate within 90% of the final bill. NAHAM® has set the standard that 85% of your estimates should fall within this range, and we back that up with a guarantee. If our estimates ever fall below the NAHAM® standard, we’ll waive your monthly fee until they exceed it. Equip your staff to confidently ask for payment prior to or at point of service. Collect payments on the front-end while reducing the cost to collect at the back-end.